Discover the fascinating garments and fashion-related objects that help shape the V&A's rich collection. 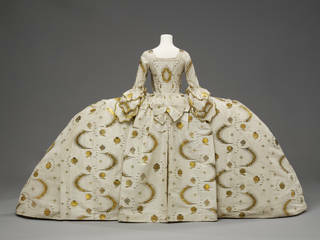 Join our Guides in these special tours and explore the V&A's outstanding collection through a fashion focus. In celebration of London Fashion Week and the opening of our blockbuster exhibition Christian Dior: Designer of Dreams, each tour highlights a unique selection of garments, textiles and accessories from the museum's renowned fashion collection and galleries beyond.